When I entertain, especially during the holidays, I find that having place cards for a sit down meal or party favors for a larger party are just the perfect touch. It is a small touch but really does personalize the Holiday entertaining process. People will remember these added touches and realize just how much thought you put into the holiday entertaining. But don’t worry holiday recipes don’t have to be hard, we are sharing an Easy Recipe for Fudge Cookie Cutters that you can use as place cards or party favors at your next holiday party. 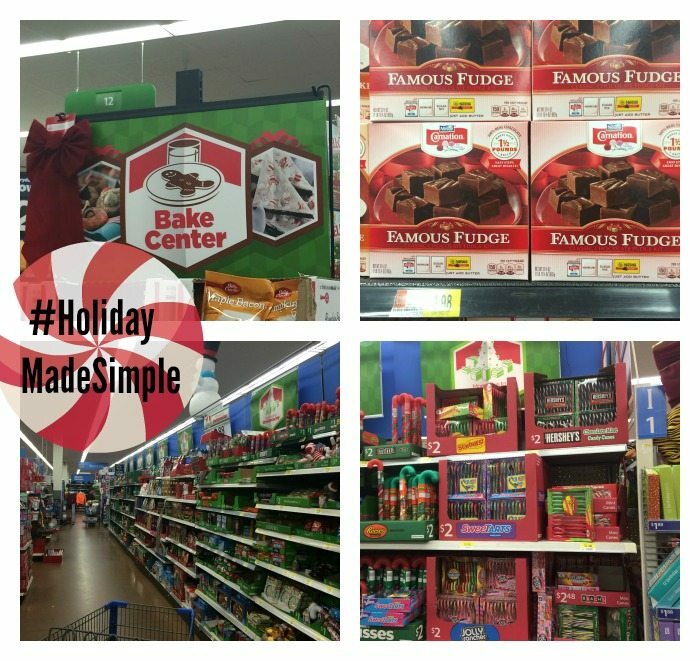 While I was shopping at Walmart looking for easy holiday ideas, I found NESTLÉ® CARNATION® Famous Fudge Kit, and knew this year making fudge cookie cutters just got easier. Each kit comes with everything you need to make creamy fudge. ( Of course you can always add your own touches just be sure to purchase these before leaving the store) Each kit makes over 1½ pounds of fudge per batch. 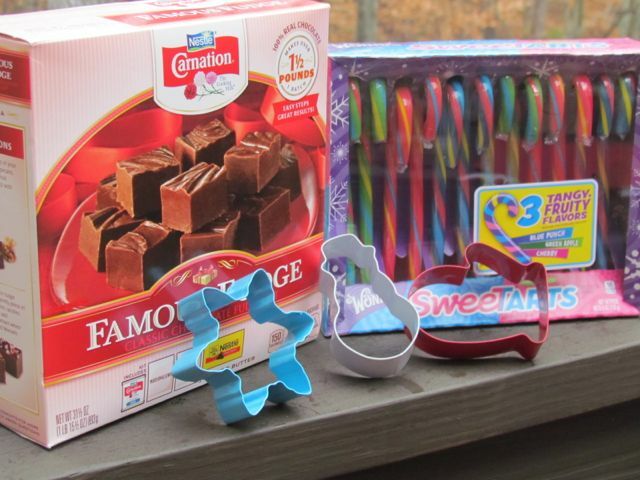 Depending on the size of your cookie cutters you should get at least 8 to 10 out of one kit. 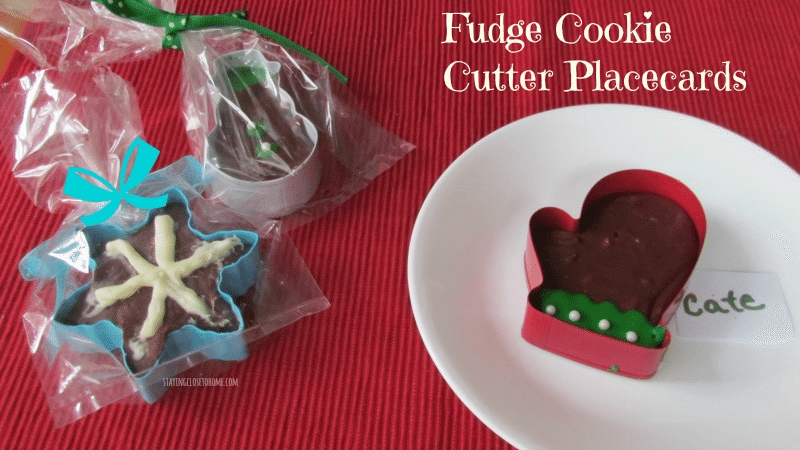 This recipe for the Fudge Cookie cutters could not be easier, simply follow the direction on the NESTLÉ® CARNATION® Famous Fudge Kit. Do not try to do more than one thing when making the fudge, it is super easy but you can easily burn the chocolate at the same time. Lay out your cookie cutters on a parchment lined cookie sheet. 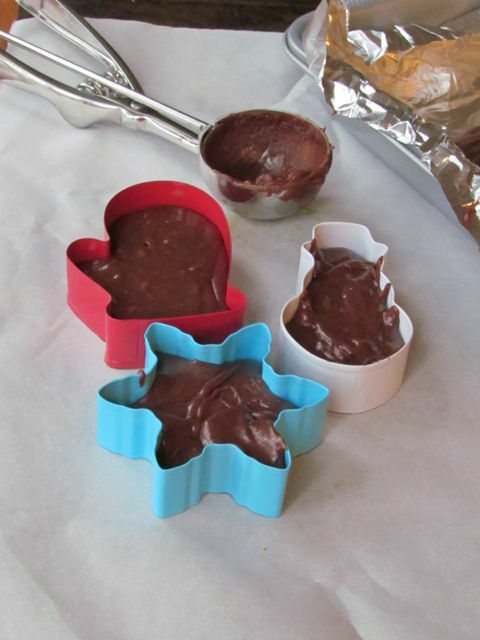 Using a ice cream scoop carefully fill each cookie cutter with the fudge, I prefer to fill them 3/4 full. If only adding sprinkles do so now otherwise Allow to completely cool and decorate with Icing. If you want to add any sprinkles or candy do so before the fudge sets. 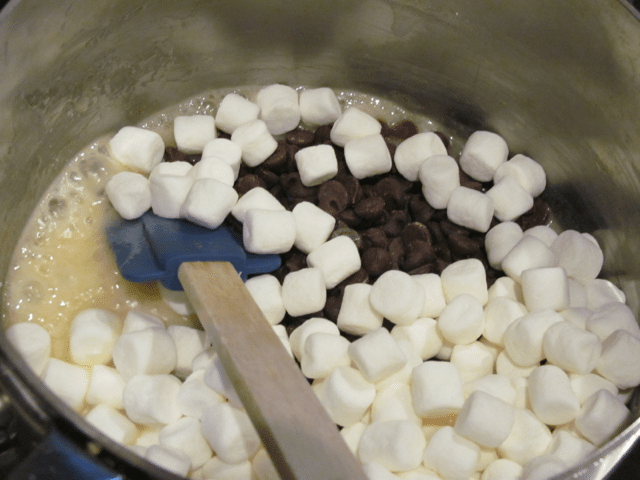 Otherwise, allow the fudge to fully cool, and using melted chocolate or cookie icing decorate the tops of the fudge. Put them in cello-bags and place them in a basket at the door for people to take on the way out of your party. Or add one to each place at your table to tell guests where to sit. I also love to decorate the dessert table with candy during the holidays. I could not resist the WONKA® SWEETARTS® Candy Canes I also found at Walmart. I love them because they are not the traditional red and white color but blues and pinks. 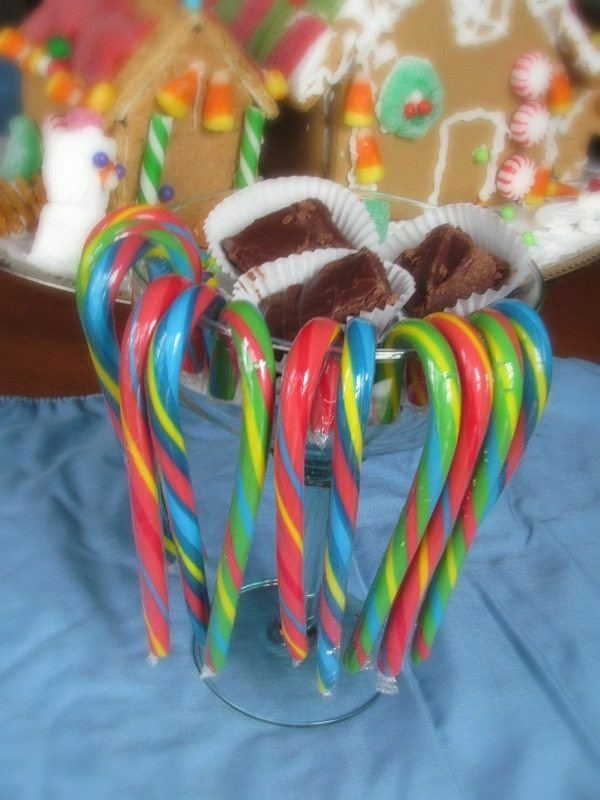 The kids love them because they come in 3 tangy, fruity flavors, including Blue Punch, Green Apple and Cherry For a quick candy serving idea, I use a large glass, such as a margarita glass, and hang the candy canes around the edge. Now you have the perfect serving vessel for any extra creamy fudge or really any small candy. You might be surprised how many of these candy canes might go missing after the party. What are some of your easy holiday recipes? This is such a cute idea. I pinned you post and plan to make these this weekend. Perfect treats for work. I don’t even think these would make it to the table. What a wonderful idea! What a festive idea to use the cookie cutters. I love the Santa’s Mitt best because you don’t see that cookie cutter a lot. What a cute idea, this would make a nice gift too. They turned out great! Oh what an adorable idea! Who doesn’t love homemade fudge, right? Thanks for sharing! Those place cards are absolutely adorable! And I am a big fan of homemade fudge! These are so clever! My kids would love to make fudge! 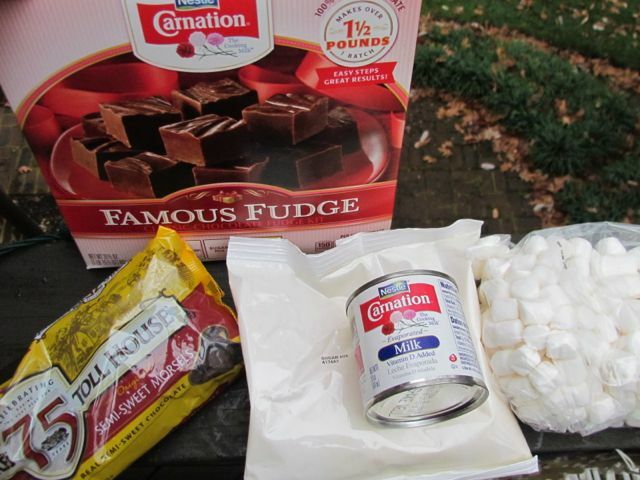 I have I have never used the Famous fudge before and I want to make it this year. What a cute idea! Using fudge in a cookie cutter as a place name. I think it is such a cute idea and I want to do this for my guests this year! These are adorable! 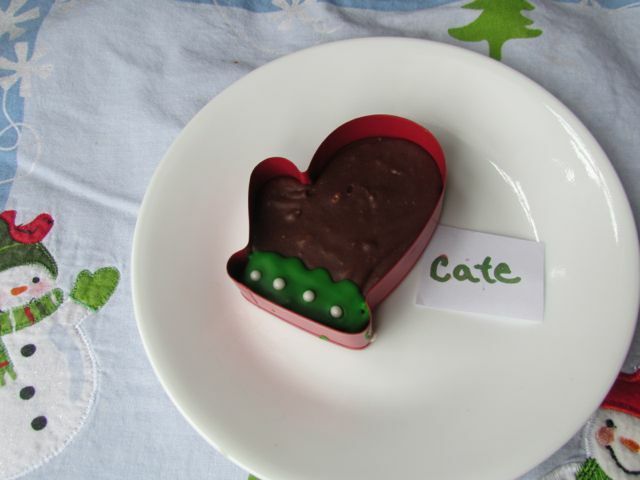 What a cute and delicious way to give someone a gift! How sweet! (pun intended). These would make adorable gifts for coworkers. What a cute idea. I love homemade fudge!